The NASA TRICE-2 mission launched two sounding rockets from ASC today. First rocket was launched 08:26, and reached an apogee of 1042 kilometers, and the second rocket followed at 08:28 and had an apogee of 756 km. 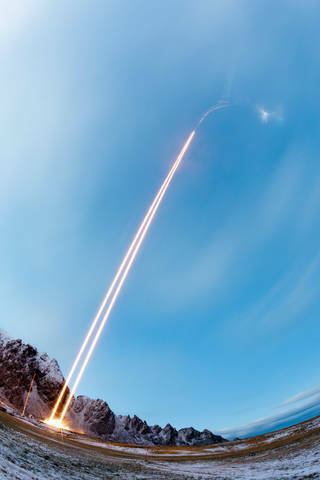 Two NASA sounding rockets successfully flew over the Norwegian Sea early in the morning December 8 carrying an experiment to study the electrodynamics of the polar cusp. 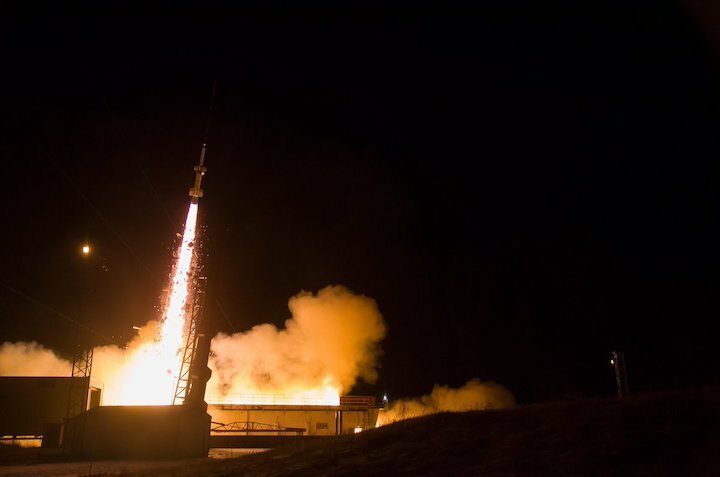 The Twin Rockets to Investigate Cusp Electrodynamics or TRICE-2 were launched at 3:26 and 3:28 a.m. EST from the Andoya Space Center in Andenes, Norway. The first rocket flew to an altitude 646 miles and the second flew to 469 miles. 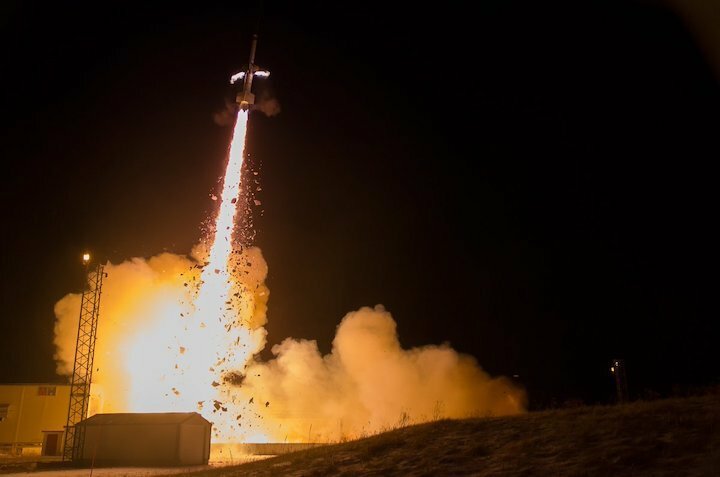 Preliminary data show that the two four-stage Black Brant XII rockets performed nominally and good science data was received from both flights. TRICE-2, from the University of Iowa in Iowa City, is exploring magnetic reconnection, the explosive process that allows charged particles from space to stream into Earth’s atmosphere. The results promise to shed light on the fundamental process of magnetic reconnection and, in the long run, help us better predict how and when Earth’s magnetic shield can suddenly become porous and let outside particles in. TRICE-2 was the second of nine sounding rocket missions launching over the next 14 months as part of the Grand Challenge Initiative (GCI) — Cusp. Drawing researchers from the United States, Canada, Norway, the UK and Japan, the Grand Challenge is an international collaboration to explore the northern polar cusp, hopefully cracking the code of this unusual portal between Earth and space. The next two missions in the GCI will be the Cusp Alfvén and Plasma Electrodynamics Rocket, or CAPER-2, mission from Dartmouth College in Hanover, New Hampshire, between Jan. 1 – 14, 2019 and G-Chaser between Jan. 10 – 14, 2019. G-Chaser is an educational mission carrying experiments developed by university students from the United States, Norway and Japan. Both missions will be conducted from the Andoya Space Center. TRICE-2 is supported through NASA’s Sounding Rocket Program at the agency’s Wallops Flight Facility in Virginia. NASA’s Heliophysics Division manages the sounding rocket program. The two TRICE-2 Black Brant XII sounding rockets are seen in this time-lapse photograph soaring into space over the Norwegian Sea.